My week here at Elephantine passed by very quickly. Despite of all the work, I also had the chance and pleasure to enjoy the beauty of this place and of the landscape at the First Cataract. More ceramic material from House 55 is now processed – my pottery database holds currently almost 2400 pieces from the structure, including 350 Nubian sherds. Of particular interest are painted and imported wares as well as functional vessels. The latter allow a close comparison with the material we excavated in the last years within the New Kingdom town of Sai in Sudan. In general, the functional ceramics from House 55 at Elephantine compare very well with the Sai material. Despite of close parallels regarding the general corpus and the vessel types, I have suggested that a distinct difference applies to the use of Marl or Nile clay for functional vessels (Budka 2018). This can be illustrated by spinning bowls, but also the so-called fish dishes (‘Schaelbecken’), pot stands and zir vessels. The class of spinning bowls is quite interesting – these are dishes with two handles attached to the interior of the base. The handles are used for wetting linen fibers during spinning. Such spinning bowls are frequently attested in Egyptian settlements like Amarna and Elephantine (where also other evidence for textile working is found). Example of a spinning bowl from House 55. As of today, I have recorded 15 pieces of spinning bowls from House 55 in detail, some of them in a very good state of preservation. More were found in fragmented state and are not considered in my database. 50% of the recorded material was made in Marl clay, 50% in Nile clay. 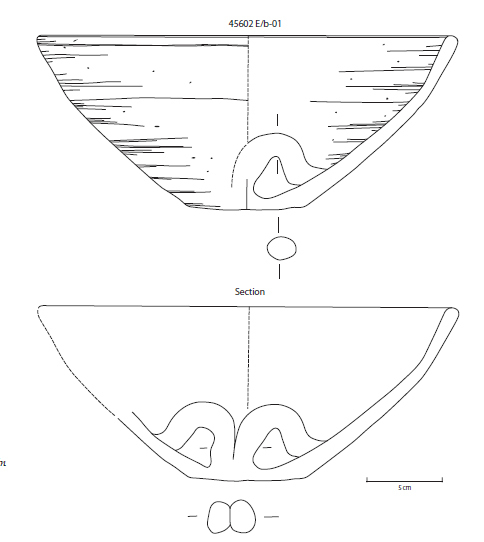 This proportion between Marl and Nile clays differs considerably with the evidence from Sai – although only a small number of spinning bowls were found there within the New Kingdom town, almost all of them are made from Nile clay and were most likely locally produced for demand at the site. Almost no Marl clay spining bowls were imported from Egypt. All in all, my short stay here at Elephantine was extremely productive and important for working out further details of comparisons between the pottery corpora from Sai and Elephantine. Julia Budka 2018. Pots & People: Ceramics from Sai Island and Elephantine, in: Julia Budka und Johannes Auenmüller (eds. ), From Microcosm to Macrocosm. Individual households and cities in Ancient Egypt and Nubia, Leiden, 147‒170. As usual on excavations, time flies by. I was busy in the last days with drawings of important pottery vessels from House 55. The importance can be of different character: 1) completely preserved vessel and thus significant for the corpus of shapes and pottery types; 2) chronologically interesting piece and of significance for the ceramic phases and their fine-dating and 3) functionally relevant vessels including so-called hybrid vessels illustrating the intermingling of Nubian and Egyptian pottery making tradition on the island. I had a bit of all three main categories during the last days, besides some very nice imports found in House 55, coming from the Levant and Cyprus, as well as a unique sherd of the famous Tell el-Yahudiya ware. Among my favourites are the Nubian sherds from House 55. The Nubian cooking pots are mostly of Pan-Grave style with incised decoration, but a minority of the cooking vessels shows basketry impression and is very similar to pieces from Sai. Within the fine ware, Kerma Black Topped cups and beakers dominate, sometimes with the silvery band on the outside characteristic of the Kerma Classique period. Today, I made a drawing of a very nice Black Topped beaker and was able to reconstruct its complete outline. Besides making drawings, I am busy with material excavated in the 26th and 27th seasons in House 55, thus more than 20 years ago. Among other interesting pieces, today I had the sixth piece of a so-called fire dog on my table. These fire dogs continue to fascinate me – especially since my work at Sai. At Elephantine, almost 50% of the ones found in 18th Dynasty levels are coming from House 55! But the small number is completely different to the large amount of fire dogs we found within the New Kingdom town of Sai Island. Research about the proper functional use of these devises thought to hold cooking pots above the fire will have to continue. 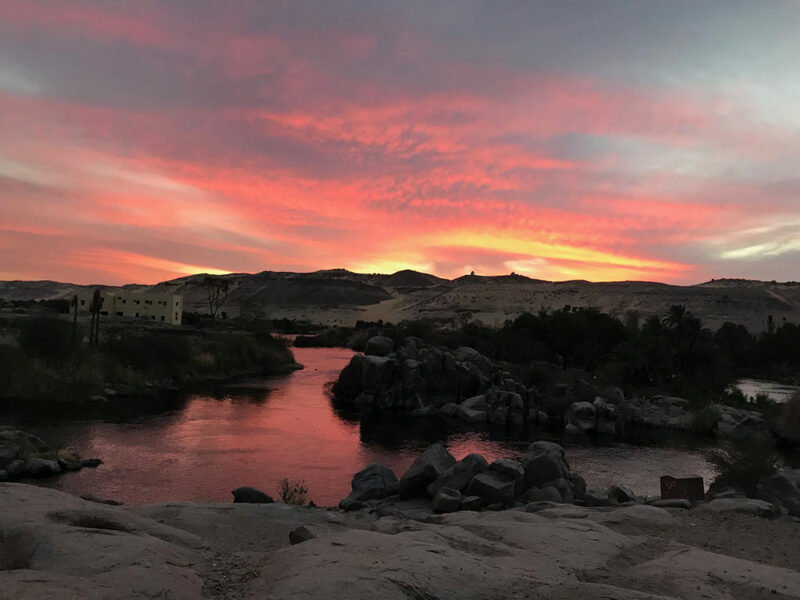 After finishing the successful 2019 season of the Ankh-Hor Project at Luxor, in the Asasif, I am now back in Egypt, at Aswan, working at Elephantine Island on the processing of material from House 55. 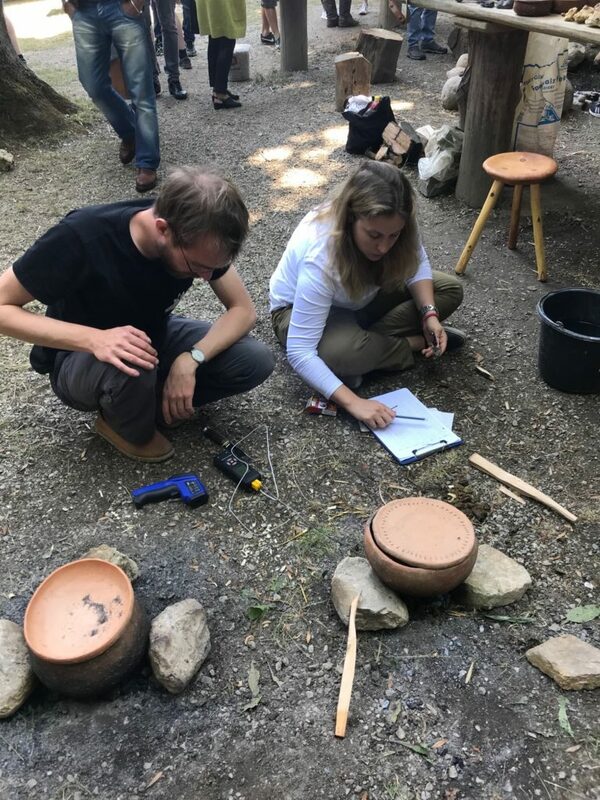 Due to a number of reasons it’s just a very short season, but I am very happy to concentrate again on the very interesting ceramics from the workshop building excavated in the last years by the Swiss Institute in close cooperation with AcrossBorders. I will focus on the early 18th Dynasty ceramic material and here also on the Nubian wares from House 55 – this nicely ties in with my new MUAFS project and our recent discoveries between Attab and Ferka. Work will start tomorrow – very excited and an update will follow shortly! 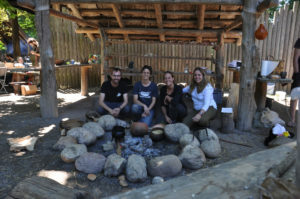 I am very proud to announce the publication of a joint article about “The question of fuel for cooking in ancient Egypt and Sudan” in the current issue of Experimental Archaeology. 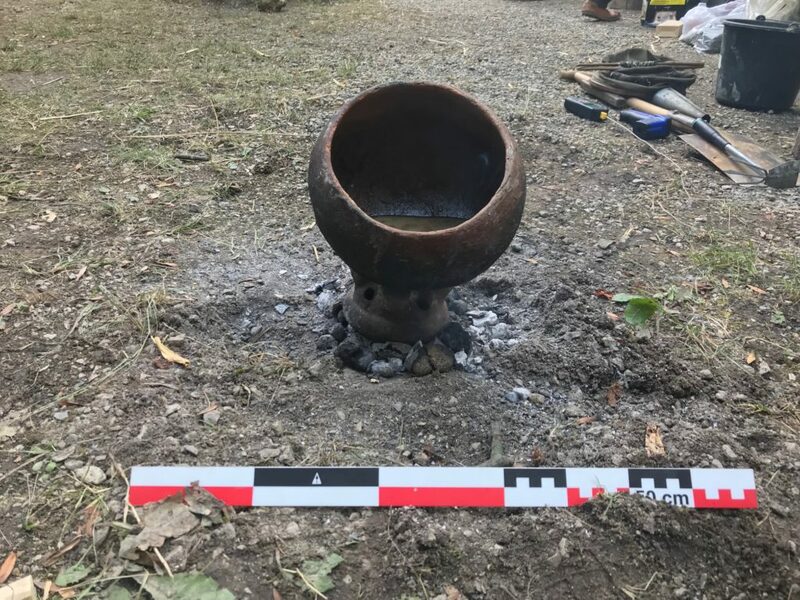 It’s the outcome of my practical class in experimental archaeology at Asparn 2018 and it gives an overview of our tests and possible future lines of research. Since AcrossBorders investigated the lived realities of people on Sai during the New Kingdom, this small sub-project is highly relevant. In the scientific article, we present all the results of our temperature measurements. For the measurements of the cooking pot we used a Colemeter WT700 Infrared Thermometer and a digital Type K Thermocouple, the latter especially for the fire and the pot filling. We briefly mention also our test with a fire dog and horse dung as fuel – which also turned out as very successful! All in all, the dung fires provide nice conditions for keeping good cooking temperatures – and this for a considerable long time, while preventing the fast cooling off of the fireplaces compared to our tests using wood only. This seems to be especially beneficial for dishes with long cooking or braising time like legumes, porridge and cereals. 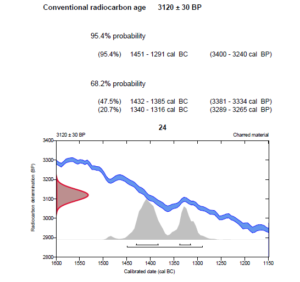 Of interest for future experiments would be, among others, to test a mixture of fuels and to trace the actual cooking activities in Bronze Age Egypt and Nubia further. Looking very much forward to the upcoming experiments in Asparn 2019, many thanks go for now to my great team of co-authors and supporters! I am very proud to announce that fieldwork in my new concession in Sudan will commence next week! Based on the results of the AcrossBorders project, NCAM very kindly offered me a new concession area in northern Sudan. I chose to stay within the general area of Abri and thus we decided on the strip along the Nile between Attab and Ferka. 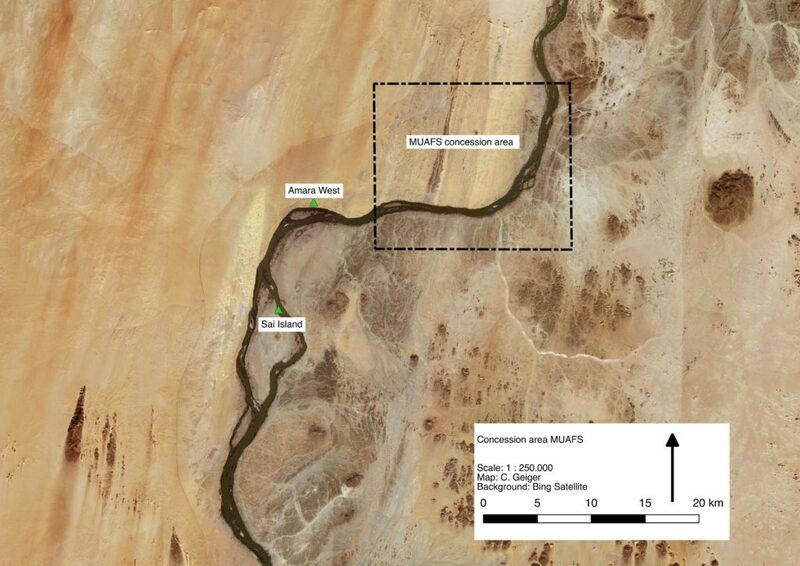 The new Munich University Attab to Ferka Survey Project (MUAFS) will start with a survey of the general area, which can be regarded as “periphery” to two of the main Egyptian centers of the region, to Amara West and Sai Island. We were able to plan our work extensively because the area was already surveyed and published by André Vila in the 1970s, resulting in the discovery of rich multi-period sites comprising both settlement and funerary remains (from Paleolithic to Medieval times). All of these sites need to be revisited and in particular checked in regards of dating. In the future, we will conduct excavations at selected sites, resulting without doubts in fresh data for the long dureé approach of the project. The new project is again hosted by the LMU Munich and is funded by LMU Munich‘s Institutional Strategy LMUexcellent within the framework of the German Excellence Initiative and the Adele Hartmann Programme for Julia Budka. I am very much looking forward to this exciting new tasks and I am very grateful that many of the commendable team members of AcrossBorders also joined me for MUAFS – this continuity will enable us to work most efficiently from the start. Those of you who followed the progress of the AcrossBorders project over the years – again many many thanks for your interest! and please check out our work within the MUAFS project via the new blog which is now live. We will be posting news from the field, starting with next week. Vila, André, La prospection archéologique de la Vallée du Nil, au Sud de la Cataracte de Dal (Nubie Soudanaise), Paris 1976-1977 (for our concession: volumes 3-6). The winter term is about to start in Munich, but I took the opportunity of the period still free of teaching obligations to spend some time in Vienna for different meetings and especially for get-togethers with former and also future team members for my work in Sudan. Especially productive and full of positive memories was yesterday’s reunion with AcrossBorders’ physical anthropologists, Andrea Stadlmayer and Marlies Wohlschlager. Andrea and Marlies have already published first insights on the burials within Tomb 26 – available online as part of our recently published book “From Microcosm to Macrocosm”. 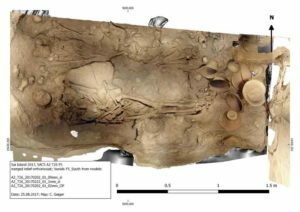 But the complete data from Tomb 26 will be published as a monograph in Vienna, in one of the OREA series by the Austrian Academy of Sciences Press. Yesterday, we discussed the general outline of this book and very soon talked already about exciting details about the New Kingdom interments of Khnummose and others in Tomb 26. There is still a lot of work to do, but we’re all very much looking forward to this task, bringing together results of three seasons of fieldwork with plenty of data from post-excavation processing. Insha’allah the book on Tomb 26 will already be available next year – compiling all kinds of data from the excavation, the objects, the architecture to the human remains, C14 dates and strontium isotope analysis and thus highlightening the tomb’s significance for understanding New Kingdom Sai. 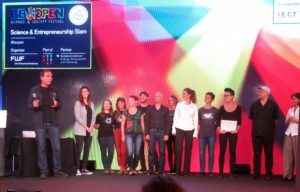 These days are full of action, movement and travelling – having just returned from a splendid EAA 2018 in the beautiful city of Barcelona, where AcrossBorders was represented in a very interesting session on “border zones” and “mobility”, I am back in Vienna, just in time to participate in the Be Open Festival, celebrating 50 years of the FWF. Yesterday’s Science Slam was great fun; I talked about the discovery of Tomb 26 on Sai with all its problems and the happy end, discovering Khnummose and his family. 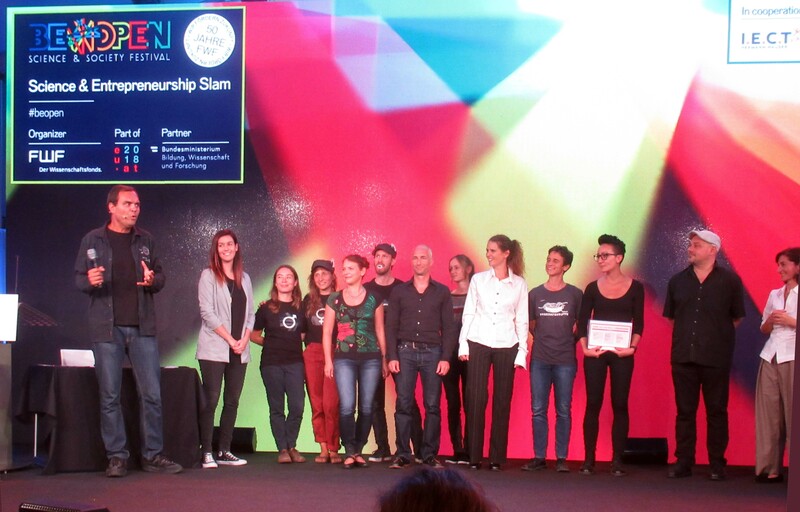 All participants of yesterday’s Science Slam, including winner Miriam Unterlass. Photo: Helmut Satzinger. Tomorrow starts the next event which will for sure also be of great inspiration – the Nubian Conference will take place in Paris; of course I’ll be talking about Sai again. My paper aims to provide a short summary of AcrossBorders work in the past years, stressing the new findings which are relevant to understand the site’s history in the 18th Dynasty. Looking much forward to tomorrow’s travel to Paris, especially meeting all the colleagues working on ancient Sudan! It has been silent from my side the last months. Too silent for my opinion; for too long, even during summer break. Almost no tweets and no updates or posts on this blog. 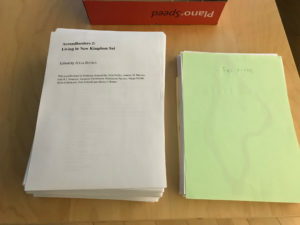 Well – I believe I have the perfect excuse: we’ve been extremely busy preparing the next AcrossBorders monograph in the last weeks and I am delighted to say that it’s actually done! Just printed all of it! 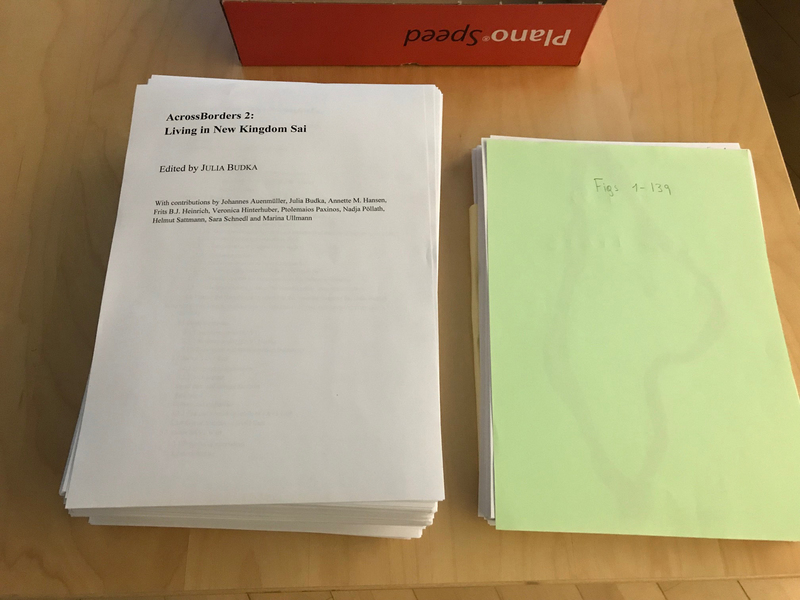 This volume is quite substantial – under the title “AcrossBorders 2: Living in New Kingdom Sai” it brings together our most important results of work about the New Kingdom remains at Sai Island in northern Sudan in the last years. Johannes Auenmüller, Annette M. Hansen, Frits B.J. Heinrich, Veronica Hinterhuber, Ptolemaios Paxinos, Nadja Pöllath, Helmut Sattmann, Sara Schnedl and Martina Ullmann have contributed apart from me to this new book. 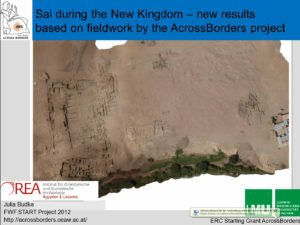 It focuses on the landscape and environmental remains of the Egyptian town on Sai and it introduces AcrossBorders work at sectors SAV1 East and SAV1 West. 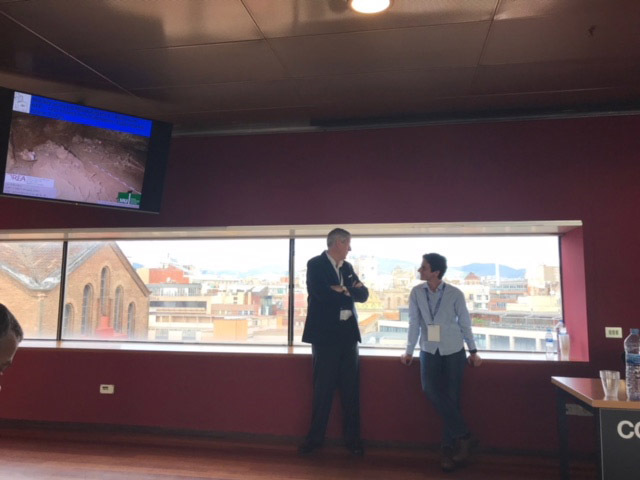 Archaeology and architecture are presented together with the objects and ceramics as well as specialized chapters on sandstone quarries, animal bones, molluscs and botanical remains. The occupants of New Kingdom Sai are discussed and some new ideas are put forward regarding the ‘social fabric’ and the intermingling of Nubians and Egyptians at the site. The manuscript has a total of 700 text pages and comprises all together 300 tables, figures and plates – so indeed a substantial next volume in the AcrossBorders series of monographs which will again be published by OREA in Vienna. I will submit the manuscript on Monday and hope that the peer reviewing process will start soon! As proud as I am today, as tired I feel. The last two weeks have been extremely intense, one could also say crazy. Working hours did not just increase but plainly doubled and several panic attacks about my own insufficient timing took turns with unexpected and very time-consuming problems with hard- and software. Most of us know all of this – finalising a manuscript means just loads of things, loads of organization and occupies one completely. No matter how much I love my occupation as archaeologist, these are the days and weeks when the really important things in life fall short – family and friends, pets and sports. In Munich, the inconvenient opening hours of grocery shops start getting on your nerves and your fridge stays empty. You’re so occupied with these texts and figures of the book you’re working on, you forget to eat and drink – and look at least 10 years older every evening and every morning in the mirror. A certain line for me was drawn when I completely forgot about and just heard it in the radio next morning that my favourite soccer team actually made it to the group phase of the European League after all (and this is the Austrian team which really deserved it, not the other one which simply keeps failing the qualification to the Champions League…). Well – now it’s done and I cannot believe it. Without the tremendous support and help of Veronica Hinterhuber, this would not have been possible – she took so much work off my shoulders and was perfectly organised as always. Cajetan Geiger also deserves loads of thanks for preparing last minute new versions of figures and plans. 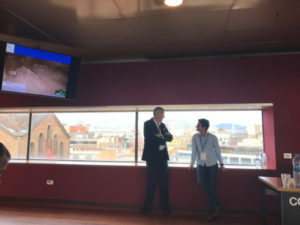 Of course as archaeologists it’s the major task to publish our results – and here, I do not necessary mean the general “publish or perish” policy which is putting so much pressure on especially young scientists from all fields. No, in archaeology, I completely agree with Peter Drewett and the following: “The only truly bad archaeologist is one who does not publish the results of his or her field investigations. All else is opinion” (Drewett 1999, 6). Our work does not stop in the field, but it is actually there where it starts. Preparing results of archaeological excavations for publication is, however, not an easy task. One always has to balance between a descriptive way of presenting the results in a clear way, and an interpretative analysis of the same. And, since modern fieldwork is usually very interdisciplinary, one also has to bring together a large number of diverse lines of research and try to combine and/or compare results from various groups of data. The AcrossBorders 2 volume will hopefully meet up to these standards and expectations – I am really looking forward to the reviews, always happy to incorporate some suggestions and to improve certain aspects. But in the end, I believe we did already quite a good job as an archaeological project, finishing the second monograph within one year after our final season at Sai. And I hope this will also be appreciated by the community and colleagues. I have to stop now. Sportschau is about to start on TV. Back to normal life, at least for a while. Work on the third AcrossBorders monograph will commence soon, but the really crazy days are still a long way off. Drewett, Peter L. 1999. Field Archaeology: An Introduction. London. Teaching classes and exams were finished this week in Munich and now some time for research has arrived! While we are still busy preparing the next monographs about the New Kingdom town of Sai, I am delighted that I will take a short break in the upcoming week going to Vienna. Thanks to an invitation for a lecture at the NHM Vienna, I will be talking about Tomb 26 and our latest findings there. Among others, I will be presenting for the first time the very interesting results from C14 samples from Tomb 26. Unfortunately, the bone samples all failed to yield any extractable collagen for dating. 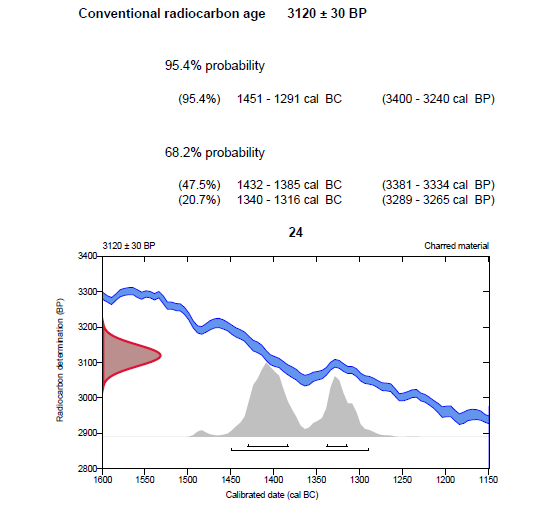 This is why only charcoal samples were used and processed by the Beta Analytic Radiocarbon Dating Laboratory. Nevertheless, these results are informative and support the phases of use of Tomb 26 as proposed based on the stratigraphy and the ceramic evidence. I would like to highlight the results for the individual who was the first person interred in Chamber 5. This adult male was the one buried along the northern wall with a deposit of flower pots and other vessels at his feet. Burial in Chamber 5 of Tomb 26 associated with flower pots deposit. My archaeological dating – not earlier than Thutmose III, most likely mid-18th Dynasty – is now nicely supported by the calibrated dates of 1451-1291BC. Looking much forward to this small break and the trip to Vienna which is very likely to result in fresh input for our ongoing analysis of Tomb 26. 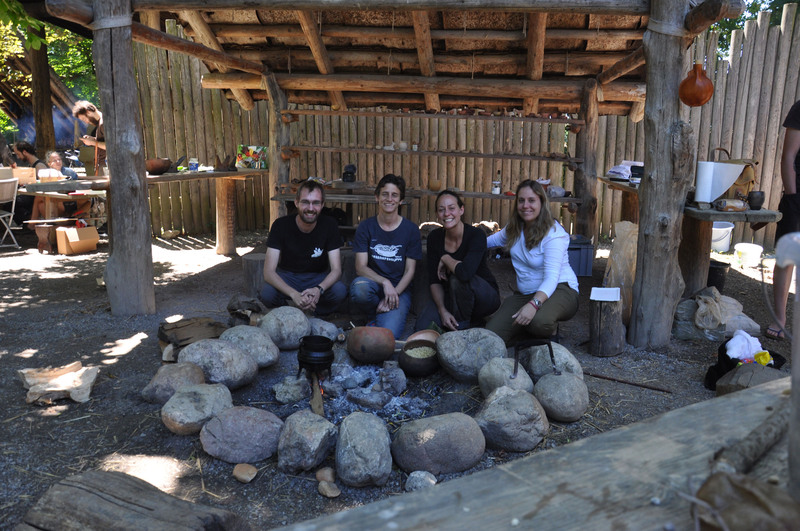 Our most recent excursion to Asparn/Zaya and the MAMUZ Museum to conduct experimental archaeology related to Egyptian and Nubian cooking pots was again very successful. This year, we focused on two tasks: 1) using dung from various sources (sheep, goat, cattle, horse and donkey) as fuel and 2) cooking actual food with the replicas of our Nubian and Egyptian cooking pots. The experiments of both tasks were very informative and worked really well: especially horse and donkey dung is well suited to boil lentils or bulgur, but also goat/sheep and cattle dung fires do work if the pot is placed just above the glow; the Nubian cooking pot is great to sauté vegetables as well as to cook them. I’ve written a more substantial report with some pictures on this in German. For now, I would just like to express my heartful thanks to all colleagues who made this practical class at Asparn possible and helped a lot at the spot; and of course loads of thanks go to our small AcrossBorders team. Well done, especially of our excellent cook Patrizia!